The first step in the process of going minimal was, of course, de-cluttering my wardrobe and getting rid of clothes that I did not need. To say that this process is hard would be an understatement. There are many reasons why we accumulate things over the course of our lives. Sentimental value is probably the biggest reason though. In the absence of other forms of anchors, we tend to associate or transfer our emotions on to the things we own. Memories, achievements, highs and lows. Letting go of old things becomes difficult for obvious reasons. Guilt is another potent obstacle. Throwing out things which are in fairly good condition just because I made a lifestyle choice to go minimal was not easy. These were things bought from hard-earned money that I had frittered away on impulse purchases. I felt obligated to wear them before they were discarded casually. There was guilt over all the good uses I could have put my money into, instead of buying things I did not need and as it turned out, even want. There’s an old joke about the journey of a T-shirt in middle-class Indian households. A new T-shirt starts as a prized possession. Taken out and worn for the first time on a special or festive occasion and then reserved for similar events. Gradually the T-shirt becomes old enough to enter the regular wardrobe and is worn casually to colleges and workplaces. Eventually, the t-shirt fades but is still going strong and passes on to become home wear. After spending as much time as possible as a home-only clothing it finally ends the long and successful career as a mop. Growing up in a grounded, middle-class home, it is never easy to simply discard things because you think that you don’t need them anymore. 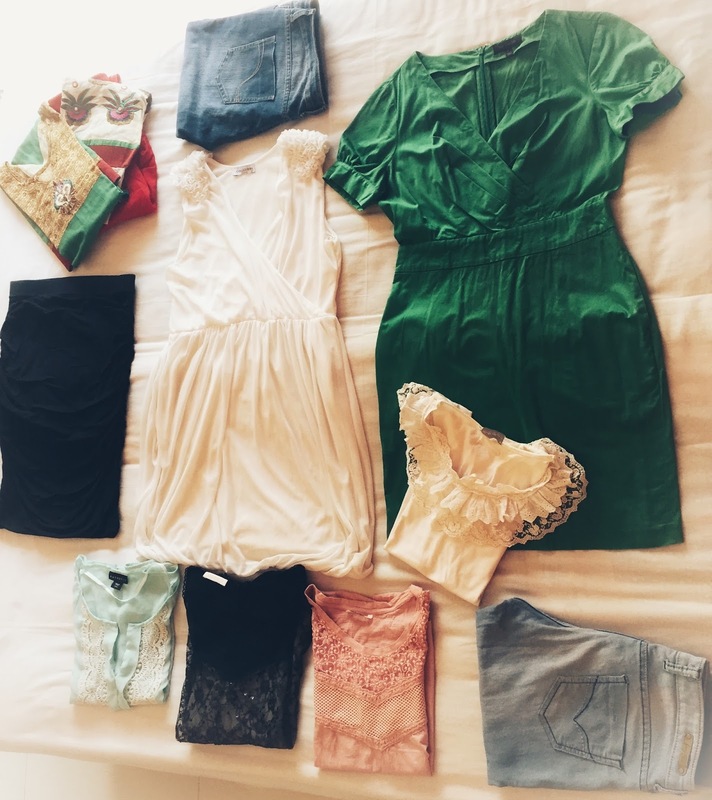 The moment I started picking clothes to be given away, the biggest question I kept asking myself was whether I was sure that I would never ever want them back in my closet. Letting go of the emotional attachments and guilt over discarding my possessions took some serious effort. Bagging up the collection of trousers, tops and dresses brought up several doubts over whether I was going overboard and needed to scale back on my ambitions. Read about my first step into minimalism and capsule wardrobes here. Nevertheless, I decided to power through. I found a way to justify this de-cluttering to myself - my discarded but usable clothing would go to someone who could hopefully make better use of them. I did not stick to a definite number of clothing items I was going to keep. Anything that I loved and that fit me well would stay. This amounted to about seventy-five to eighty odd clothing pieces. I was also not going to box up clothes that didn’t go into my capsule for an out of sight, out of mind experience. 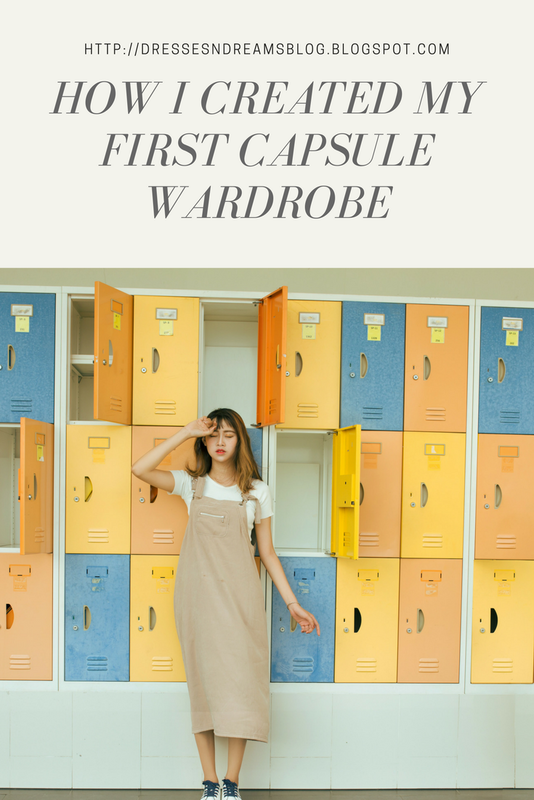 While a lot of capsule wardrobe guidelines recommend it, I personally feel like it is a way to avoid the problem (a large and unmanageable wardrobe) instead of facing it head-on. My clothes should be in my cupboard where I can see them every day and remember the problem I am trying to solve. 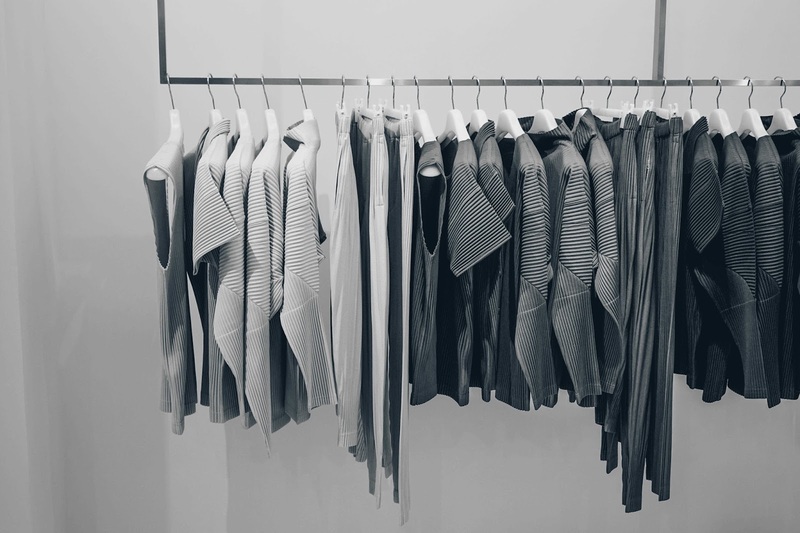 As with anything new, minimalism and capsule wardrobe can be overwhelming at first. Fortunately, there is lots of help available online. Men and women who have trodden the path I am now choosing have created treasure troves of knowledge and shared it. Talk about standing on the shoulders of giants. As I did my research, many options came to the fore. Project 333 recommended thirty-three items for a ninety-day period. Who What Wear suggested thirty-seven items for the same period. I was, however, looking to take a smaller step, dip my toe into the metaphorical pool before taking a dive. While I was thinking of ways to create a smaller capsule for a short period, I came across the awesome 10x10 challenge by Style Bee which was the perfect fit for me. To quote Style Bee, 10x10 challenge is "a micro capsule closet that you work with for 10 days, trying new looks and styling your clothes in ways you might not otherwise try"
I immediately loved the concept as it allowed me to stretch myself to think of creating new looks from a smaller wardrobe. The ten-day period was also exactly what I was targeting. The site offered a helpful worksheet which I am going to use. With some small tweaks to the recommended guidelines, I was raring to go. I decided to include some ethnic wear into the challenge for the simple reason that I wanted to see whether this can be done. Sure, you can mix and match kurtas with leggings and palazzos but what happens when you wear a full salwar kameez set. The same goes for dresses. They were individual items that don't get paired with anything else to create different looks. Would I be willing to repeat it within such a short time frame? I am about to find out. Shoes and outerwear were excluded because they aren't my weaknesses. I already make conscious choices in buying both and own a fairly limited collection of high quality and long lasting shoes and jackets that I have been using for years. My aim is to target my weaknesses through this exercise. It also felt good to think of some of my strengths and tell myself that at least some of my wardrobe choices came from clearly thought out purchases. Style Bee also suggests a thirty-day shopping fast. Quite frankly, I don’t really like the semantics of that. As someone who does not undertake any fasts, I find them to be artificial and problematic. Fasts are meant to be broken and rewarded by indulging in the thing you were abstaining from. Whether its food or fashion, the idea of a fast does not appeal to me. So I am simply making a promise to myself - no clothes shopping for three months. So here's my micro capsule wardrobe for the next ten working days. I start on Monday and will go through two business weeks wearing clothes only from this selection. This post was originally published on 30 October, 2017 on my first blog. I have migrated it here and made some minor updates.